Protecting lone workers is a key part of any health and safety manager's role. Lone workers are exposed to many additional hazards in the workplace. Identifying these and putting safety systems in place is paramount to preventing accidents or incidents, and ensuring that staff have the ability to call for help if required. In many workplaces, lone workers can find themselves in hazardous situations. Therefore, it is crucial that a reliable communication system is available to allow them to raise critical alarms if an incident should occur. In addition to this, health and safety managers should focus on preventing any incidents from occurring in the first instance. Although a system that allows lone workers to easily raise critical alarms is a key part of a successful health and safety plan, eliminating risks should be the first point of focus. By identifying the risks that your workers face and forming a solid plan to either eliminate these or reduce any incidents associated with them, your workforce will feel more comfortable in their roles. Confidence in job safety can have a major effect on the productivity of your workers, and be better for the business as a whole. Making sure safety audits are regularly undertaken and up-to-date will help to identify any areas for improvement, and serve as proof that the company is complying with national basic standards. The importance of training can often be overlooked when it comes to health and safety management. Training allows managers to ensure that the competencies of their staff are sufficient for the job to be performed safely. By keeping a training record and ensuring all new staff undertake basic training when first starting the role, managers can easily identify specific staff members that may be in need of additional training. The competency of each staff member should be assessed regularly and additional training should be assigned if needed. It is crucial in any role that each worker is trained to safely use any machinery that they will be using. In addition to this, each worker should be familiar with the process for reporting any incidents or raising alarms if needed. This means training regarding certain security systems or devices may be necessary. Safety systems can come in various forms and not all systems will be appropriate for every workplace. Therefore, it is important that health and safety managers correctly assess the needs of the workforce (and workplace), and implement an appropriate system. Alarm systems will be needed by all businesses to protect the building from break-ins, fires, or flooding, but lone workers also require systems to alert their colleagues of any danger they encounter in their role. This means that personal safety devices are another form of safety system that managers should consider investing in. Many businesses provide panic buttons for their workers to trigger in the event of an emergency, particularly in retail or educational environments. However, this isn't always the most reliable way of triggering an alarm for those working alone. Lone workers are often left to perform their duties alone for significant periods of time. Unlike other workers that have regular contact with co-workers, a lone worker is entirely responsible for triggering an alarm to remotely alert other workers of any danger that they encounter. Lone worker safety devices allow workers to trigger an alert in the event of an incident and help managers to monitor their workforce. Lone worker safety devices can come in different forms but they all serve the same purpose, to allow a lone worker to trigger an alert to a responder team. In an emergency situation, the worker is not always able to manually trigger an alert as they may be unconscious. In these instances, a lone worker safety device will automatically trigger an alert if it senses that the wearer is in a horizontal position, using tilt sensors to detect this. Although lone worker safety devices are a good starting point for health and safety managers when formulating safety plans for lone workers, the devices alone are not the most reliable option. Although lone worker devices will initiate a phone call or send an SMS message to a responder team, some devices will only send the alert to one responder, or a small group of responders. This means that the lone worker is relying entirely on the responding individuals to receive the alert and respond to it quickly. Unfortunately this means that there is the opportunity for the alarm to be missed. In addition to this, a lone worker device won’t provide an audit trail, so it can be difficult for managers to correctly monitor their workforce and identify areas for improvement. Some companies may opt for lone worker devices managed by an ARC. These devices do provide some additional protection for lone workers, as when an alert is triggered there will always be someone that receives it. However, although the receiving centre will start the response process, they will need to manually contact any responders that are responsible for the safety of the lone workers at the triggering site. This can be a timely process and is not the most reliable option for those working in dangerous environments such as manufacturing plants. 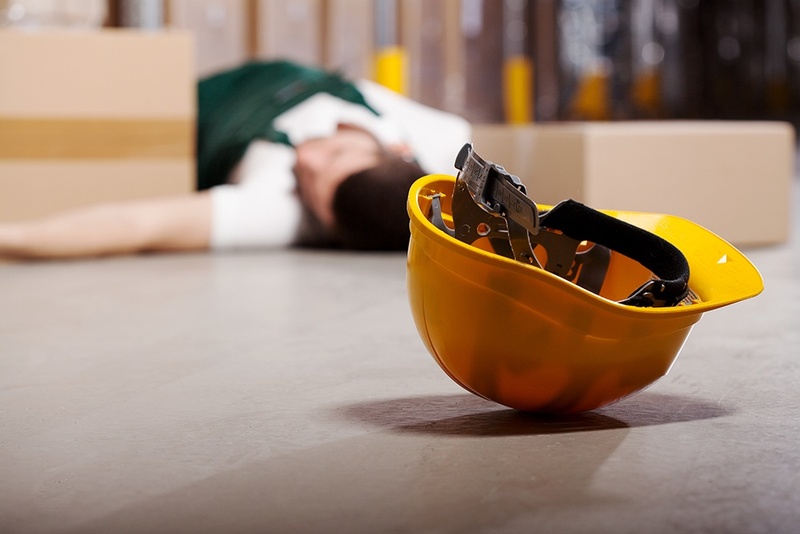 In the manufacturing industry, lone workers are susceptible to a number of serious injuries that if left untreated for significant periods of time, could be fatal. This means that to ensure the quickest response, the alert should ideally go directly to responders on-site (or close by), rather than through an ARC first. The best solution for lone workers working in hazardous environments where injury can be caused by falling stock or heavy machinery, is an automated system used in combination with lone worker safety devices. An automated system will ensure that any alert that is triggered will be sent directly to responders automatically, without relying on manual calls made by an ARC. An automated system will continuously monitor the situation when an alert is triggered and mean that an injured worker will receive the help they need as quickly as possible. However, not all automated systems are equal in terms of their reliability. Lower-end automated systems will send out a series of messages to a large number of allocated responders, but relies on one of them responding to the call. In these situations, this can either result in many responders responding to the incident, which can be detrimental to the response process, or not be responded to at all. Therefore, investing in a higher-end system is usually recommended. Higher-end systems are most sophisticated and will send messages to groups of responders, but will update the team when an alarm is accepted. This means that several responders do not get involved in the emergency response unnecessarily, which can often cause complications and slow the response down. In addition to this, a more sophisticated system will trigger an alert again or escalate the emergency to a different group of responders, ensuring a response. This type of system means that the worker that triggered the alarm will get the help they need in a timely manner, without causing unnecessary disruption.